We’re always excited when May comes around and it’s time for Sheffield Food Festival once again. It’s so exciting to see how the festival has grown, particularly over recent years, to see the wide variety of local business involved and, of course, to be able to take part ourselves with Eats, Beats and Treats. I first got into food festivals through judging beer and presenting beer & food tastings at Ludlow Food Festival, a must visit for any foodie with so much inspirational quality food available. 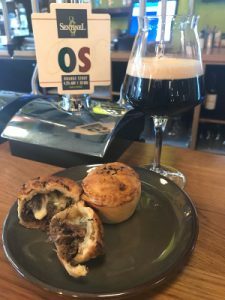 It’s great to see that the team at Sheffield Food Festival are increasingly curating a superb array of restaurants, producers and street food vendors to create an event to be proud of here in Sheffield. I’m an omnivore with no particularly special dietary needs other than a belief that if we need to eat and drink to live, then we should eat and drink well in order to live well. My partner, Jay, was brought up vegetarian and when we go out it’s often been difficult to get great quality vegetarian food that’s little more than an afterthought. So when I started Sentinel, a core part of our founding principles for the menu was to make everything fresh in house, right down to bread & ice cream. To source as much as we could from local producers (like Moss Valley Fine Meats, Bradway Quality Meats, Our Cow Molly and Lane End Farm Trust to name a few) and to ensure around a third of our menu was vegetarian or vegan friendly or could easily be tailored to be so. As I write we’ve just hosted our first vegan beer dinner. 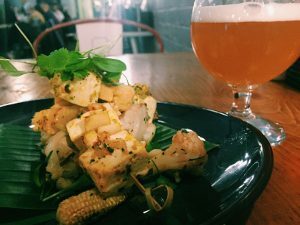 We host variously themed beer dinners all the time, and all offer vegetarian options but this was the first entirely vegan dinner, paired with a range of vegan beers from guest brewer Magic Rock. Twenty lucky souls ate and drank through a wonderful menu which was a pleasure for our chefs to create – though they called it quits trying to create a worthy vegan meringue! Our own beer range carries a number of vegan beers, which include all the lagers and most of the keg ales. Our cask beers are not vegan by virtue of the fact they are made bright using isinglass from fish swim bladders. It’s not an ingredient as such as it settles out, removing yeast, before you drink the beer and so far there’s no great alternative for cask beers other than unfined beer – which would be more hazy and more costly to produce. So for now PvO and S1, keg Ar and OS and SG from tank are all vegan. We are also committed to producing gluten-free beers and our next batches of PvO and Zf will be analysed to prove they contain less than 20ml/L gluten, the UK limit to call them gluten free, so they will offer great flavoured options for coeliacs, particularly as both beers were recently awarded Silver medals at the SIBA North east keg awards! We do produce all our beers in the same way, so all should actually be around the same level, but as a small independent brewer we cannot afford the on-cost of the laboratory test required to prove it and badge all our beers gluten free. 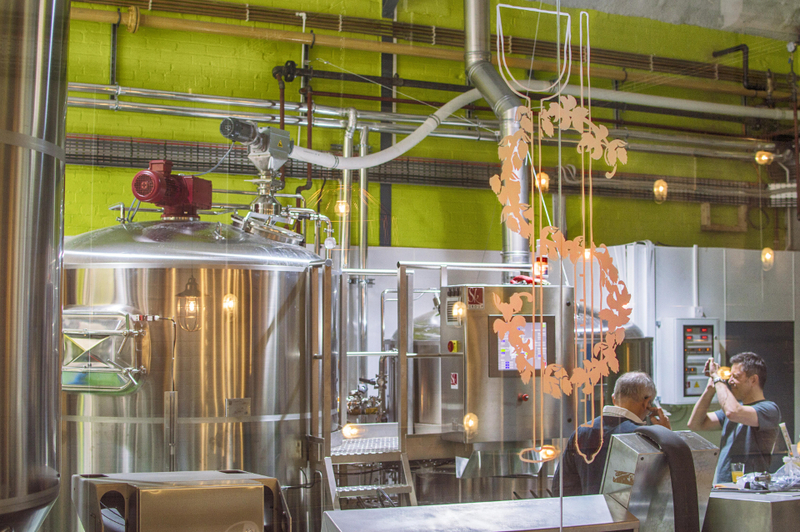 So, whether you are vegetarian, vegan, coeliac or gluten intolerant or just a lover of a great range of great tasting beers and paired foods – you know Sentinel Brewhouse is the place to come.